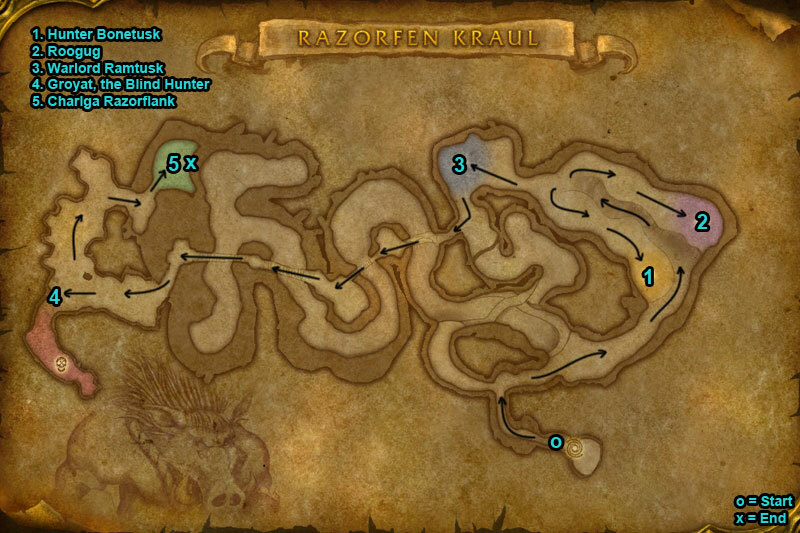 You can find the Razorfen Kraul dungeon within Southern Barrens, Kalimdor. /i Move away from the circle of arrows fired on floor. Barrage fires arrows at target. At 50% health boss calls the Boars to run through damaging all in path. 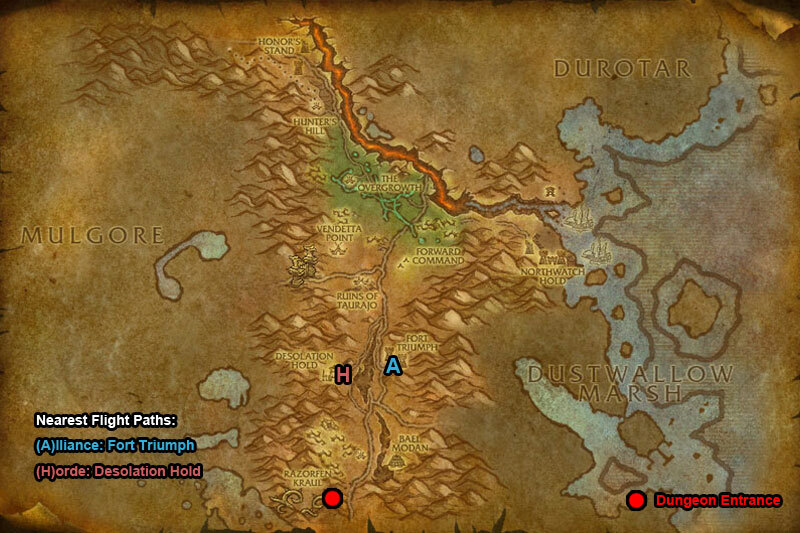 Avoid standing in the totems spells (green & yellow circles on floor). Interrupt Woven Elements. /i You cannot leave the circle. Take out the adds. Run away from Spirit Axe, lands on floor. /i Move away from Sonic Field (circle on ground). Run between the circles of Sonic Charge. Drain Life bites a target inflicting damage & leeching health. /i Run away to avoid being pulled in by the blue crystal. Green crystal spawns ooze mobs, avoid standing near the green puddles. Red crystal inflicts fire damage to anyone hit by the lines. Careful of Elemental Binding, roots you in place.